An online registration option is available for all incoming freshmen (scroll down). 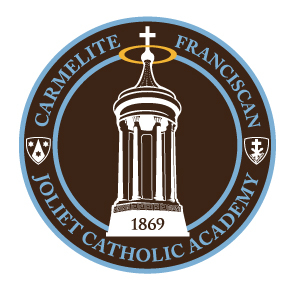 Families still have the option to register through the mail or to drop off their registration paperwork at JCA’s main office. The online registration fee will be discounted to $275 until February 1. All registrations occurring after February 1 will be $300. Certified Original Birth Certificate (Copies and hospital records of birth are NOT acceptable. State of Illinois, Section 1290.60; JCA will make a copy of the Certified Original Birth Certificate and return the original). Due by March 1, 2019.